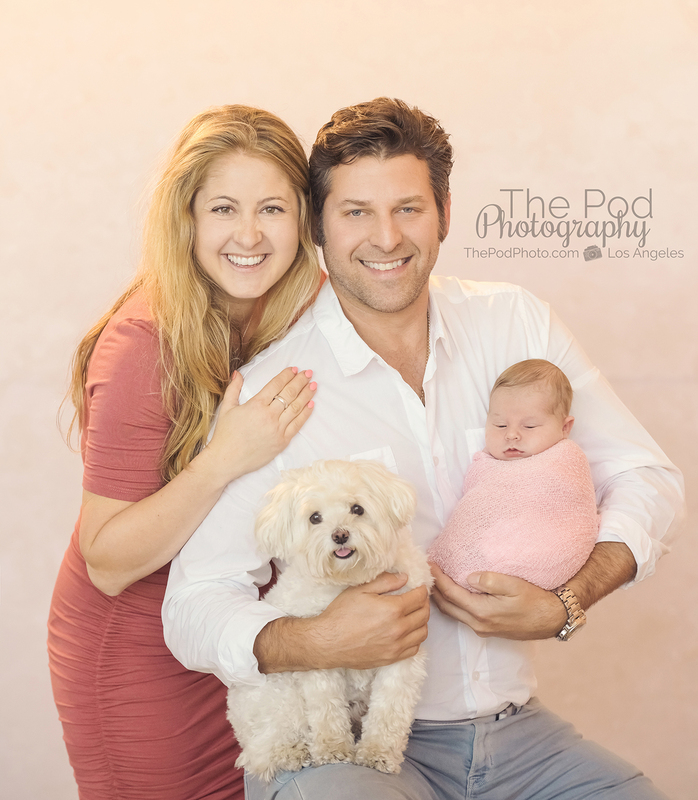 Erika's Newborn Photo Shoot for Baby Sonoma! 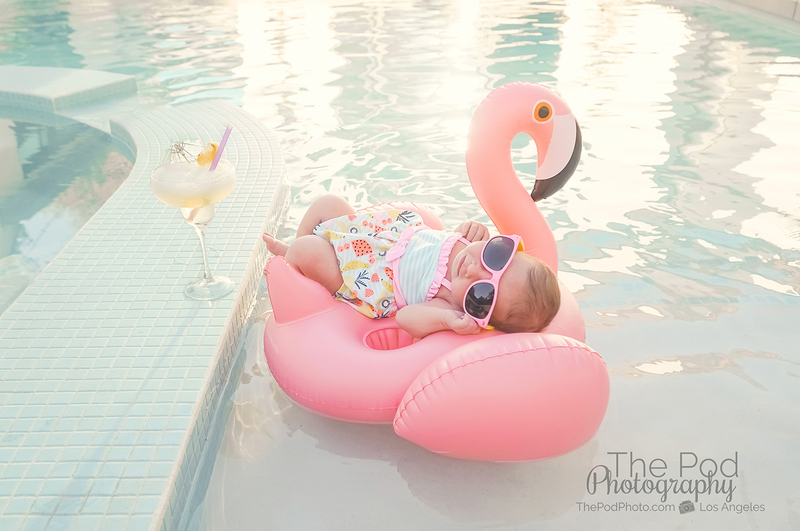 - Los Angeles based photo studio, The Pod Photography, specializing in maternity, newborn, baby, first birthday cake smash and family pictures. 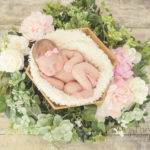 As a newborn photographer for over ten years, of course I have been dreaming about my own baby’s newborn photos for a very long time! 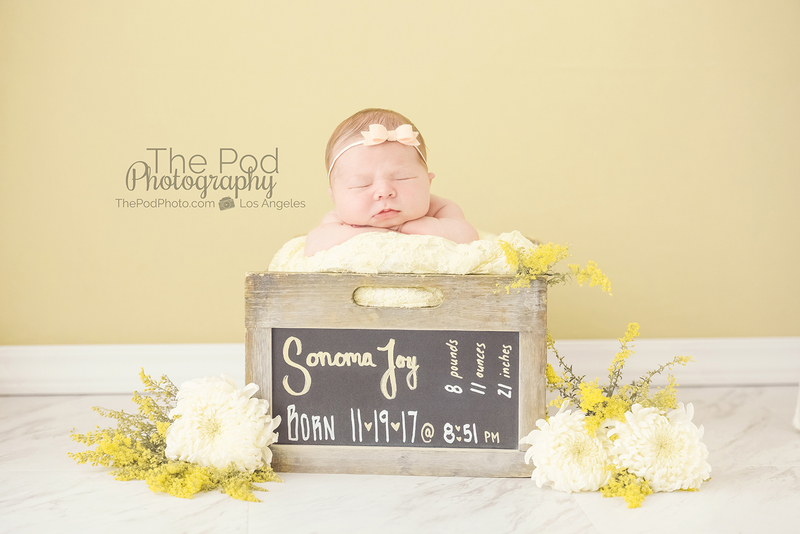 When baby Sonoma Joy was still a bun in the oven, I started planning the different sets we would be doing with her – and it seemed that every day I was adding to and tweaking the sets, colors and buying new props for her. 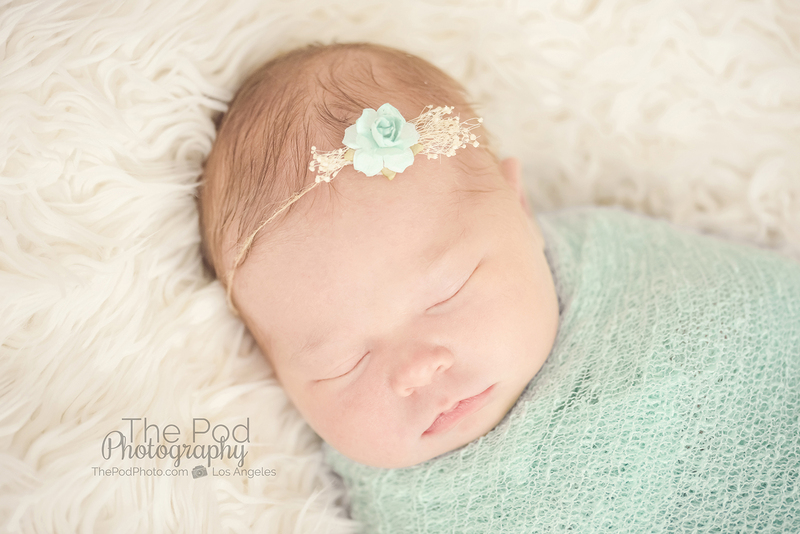 The color scheme I chose for her pictures was yellow, soft pink, mint/teal and ivory. 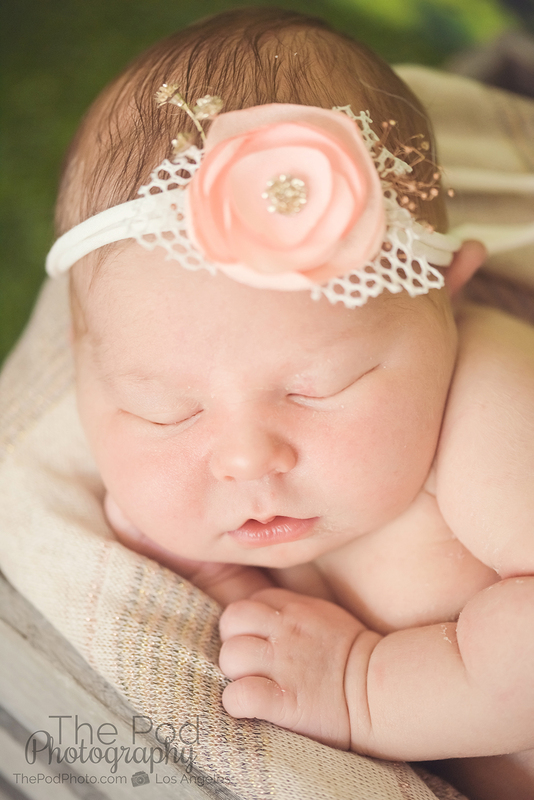 We have nicknamed her “Sunny” so that was an important one to add into the mix. 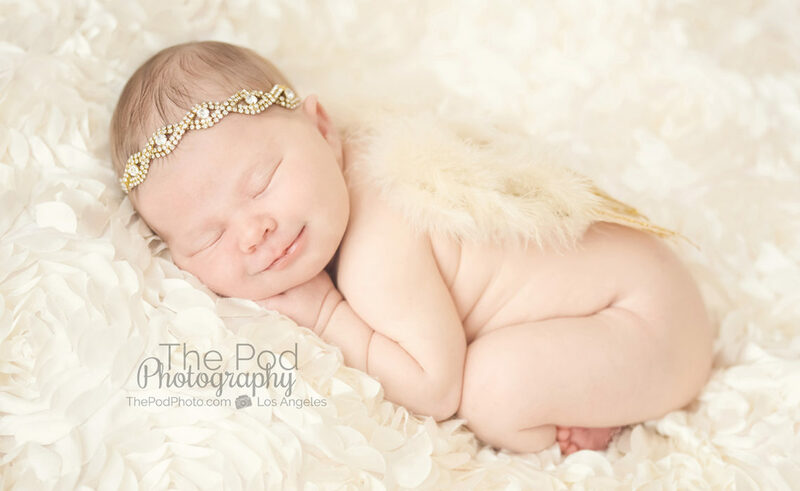 We came in to our Culver City studio for Sunny’s photo shoot when she was nine days old on a Monday (we are closed Mondays) since the studio was fully booked every other day. 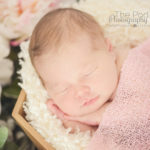 I was really nervous since she was born five days past her due date (so she was already more alert than a baby born at term) and I generally prefer to capture newborn pictures at six to seven days of age. I was especially nervous since I had like nine sets that I wanted her to do! 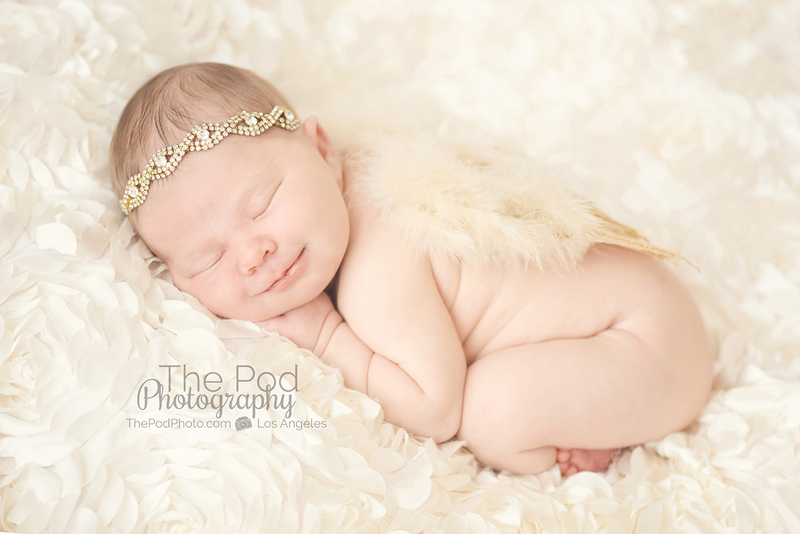 We had our fingers crossed that she would sleep soundly so that we could capture all the different ideas I had. 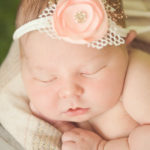 It was surreal documenting my own baby’s photos after photographing hundreds if not thousands of other people’s babies over the years. Before she was born I wondered if it would feel different posing her because she was mine, and if I would feel nervous or emotional. However, my muscle memory and years of practice kicked in and it was all business the day of her photo session. 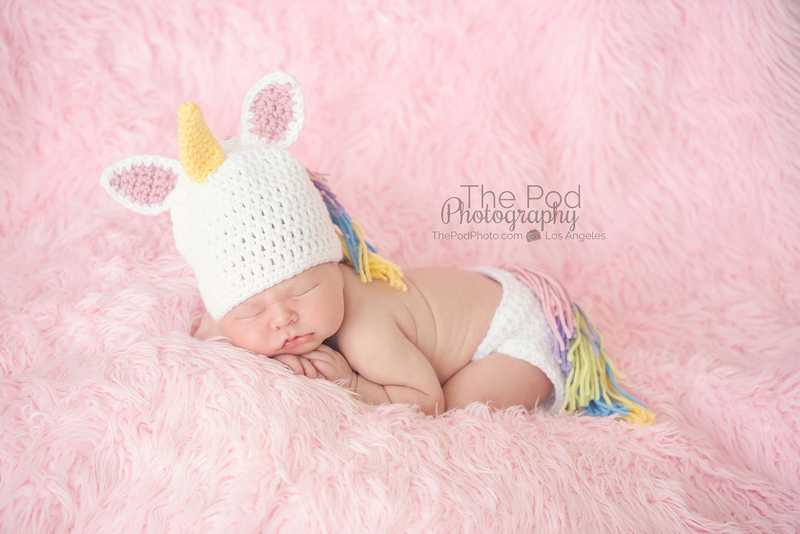 Unicorns and rainbows is kinda a trendy theme at the moment – but I still like it! 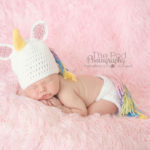 I bought the cutest unicorn outfit off Etsy for her, and an awesome rainbow background as well. 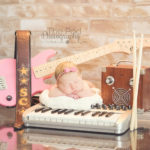 Music is an important theme in our family since my hubby is a musician – and so we created a cute little grungy set complete with pink baby guitar that was gifted to Sunny by Leah. 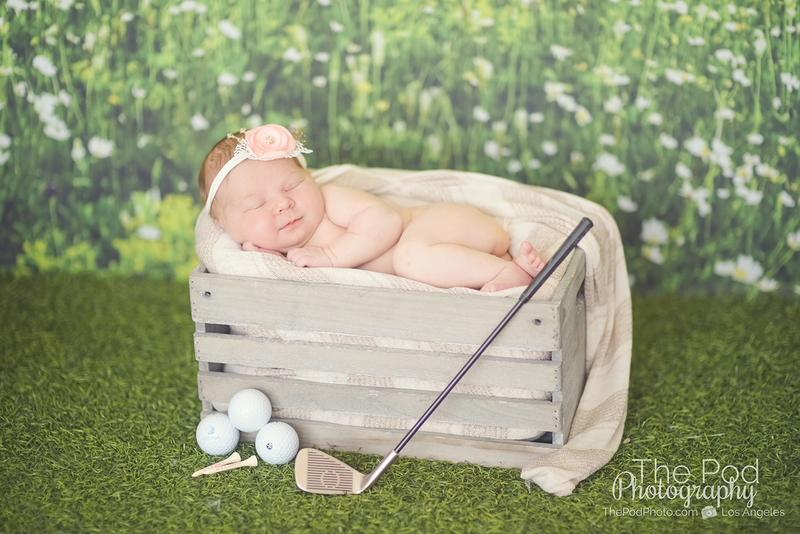 Golf is an important hobby to my husband – and so I wanted to surprise him with a golf setup for her baby pictures. This way when she’s a pro golfer one day, she can show off this photo! 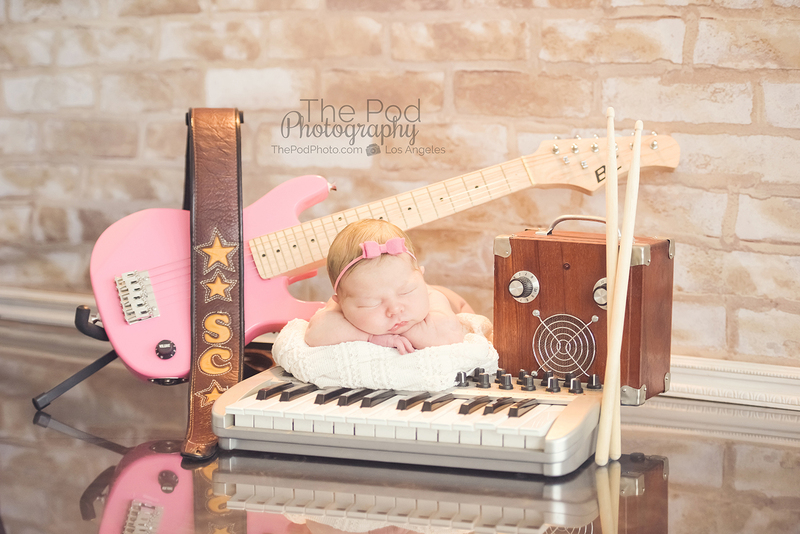 A signature shot for us here at The Pod Photography are our stat boxes. Leah and Halley have incredibly good penmanship and they write the baby’s birth weight, length, time of birth and name on a chalkboard box with the baby inside. 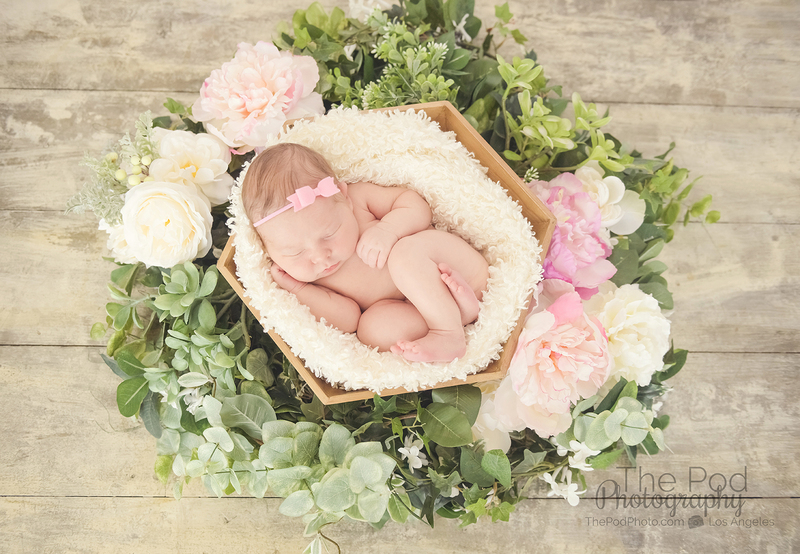 I love flowers, and the soft femininity of them, so we of course wanted a soft and sweet rustic flowers set. 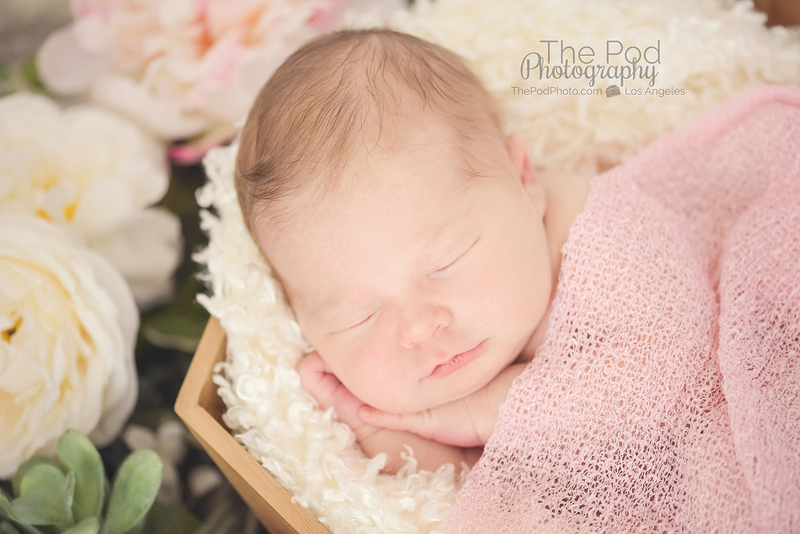 Peonies are my favorite flower, as well as soft pink for baby girls. 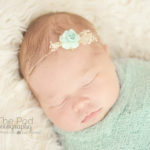 Luckily Sonoma slept with only a few breaks through her four hour long newborn session and I was able to get all the sets that I had been dreaming of. 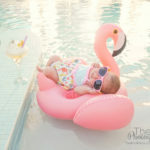 After creating all of these – if I say so myself – super cute pictures of our baby girl, I of course wanted to show her off with a custom birth announcement. Since she was born in November I wanted to do a combined birth announcement and holiday card. Narrowing down the photos to just the best ones for the card was a little difficult since there were so many good ones – but we did it!